Please join us for NWVCIL’s Youth Club! Saturday May 19th, 2018 at 6pm @the NWVCIL. 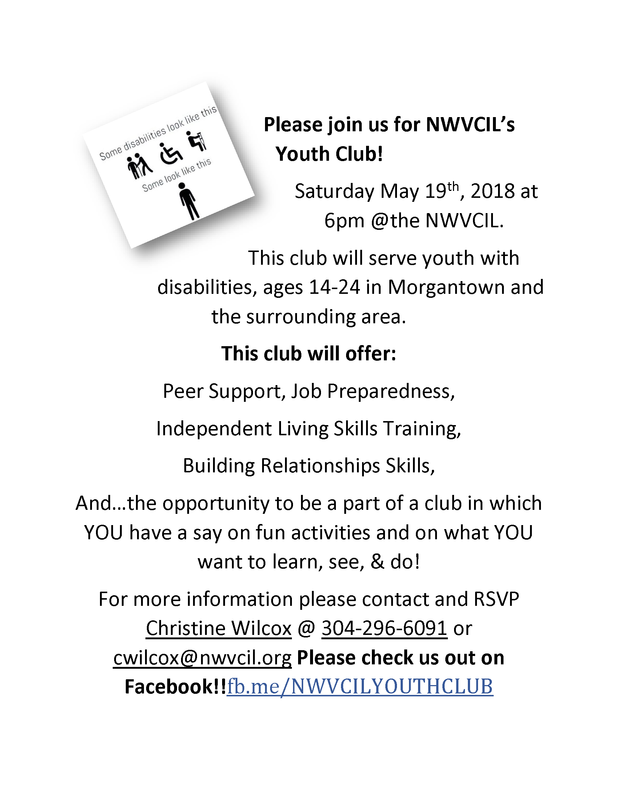 This club will serve youth with disabilities, ages 14-24 in Morgantown and the surrounding area. Independent Living Skills Training, Building Relationships Skills, and…the opportunity to be a part of a club in which YOU have a say on fun activities and on what YOU want to learn, see, and do! Please check us out on Facebook! !